44 years, 10 months, 1 day old age. Vijay will turn 45 on 22 June, 2019. Only 1 months, 29 days, 19 hours, 33 minutes has left for his next birthday. Vijay has celebrated the total number of 44 birthdays till date. See the analysis by days count and bar graph. Vijay was born on 22-06-1974 in Chennai in the state of Tamil Nadu, India. He is an Indian Film Actor, Playback Singer & Philanthropist who known for his work in Tamil Cinema. 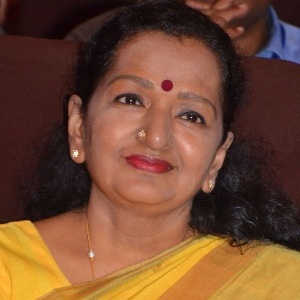 Vijay's father S.A. Chandrasekhar was a famous filmmaker and his mother was a classical and playback singer Shobha Chandrasekhar. Vijay did his schooling in Balolak of Virugambakkam in Chennai and the course of Visual Communication at Loyola College, Chennai. Vijay started his acting career in 1992 as a leading actor, in his father’s production film, Nalaya Thearpu. After some other films, he worked with Vijayakanth in Sadhuruapandi film. This film made Vijay popular in the interior regions of Tamil Nadu. Vijay won his first successful film in 1996 as the Vikraman-directed film Poove Unkaga, which helped Vijay to establish Tamil films as an emerging star. After some other flops, she got success with the movie Love Today which had an unorthodox end. In 1997, he starred in Sunrise film Nerrukku Ner along with Sun Shiv Kumar. This film was produced by Mani Ratnam. After this, he acted in Fazil directed Kadhalukku Mariyadhai. Kadhalukku Mariyadhai was considered a blockbuster film and this film gave Vijay the Tamil Nadu State Film Award for Best Actor of that year. His next film was Kusshi, the 2000 super hit film After this, movies like Prianimanwala, Friends, again brought success. Thirumalai broke his string of unsuccessful films in 2003, in which Vijay is seen with a new face. Released in 2004, Ghilli is considered one of Vijay's biggest hits. Directed by Dharani, it was a remake of Telugu film Okkadu and the film lasted for 200 days in theatres in Tamil Nadu. After the release of Thirumalai, Vijay's first failed movie was Aathi, which was released in 2006. This film has been a tough box at the box office. Later that year, he announced the Pokkiri film, which was directed by Prabhu Deva and was released in 2007. Pokkiri got the same success as Ghilli, in which Vijay had an opportunity to act in a different style. This led Vijay to M.G.R. Honorary doctorate was given from the University. The year 2009 started with the action film Villoo, which was directed by Prabhu Deva, who was keen to work with him after Pokkiri. In this movie, Vijay is seen in his career for the second time in a double role. In 2012, he signed the A. R. Murugadoss directed film Thuppakki ( an action thriller film). This film became the thirst highest grossed earning movie in Tamil to enter the 100 crores club. Even this was also Vijay's career first ever biggest commercial hit movie of all time. 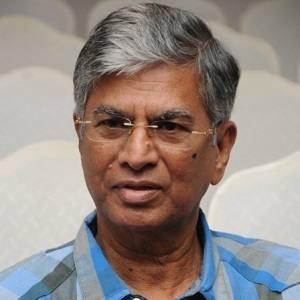 In 2013, he was fortunate to work again with action thriller movies maker ace director AR Murugadoss for the film Kaththi starring Neil Nitin Mukesh and Samantha Ruth Prabhu. This film became 2014, highest grossed earning film at the Tamil box office in terms of collections. In 2016, he signed the Atlee directed film Theri alongside with Amy Jackson and Samantha Ruth Prabhu. It was a huge successful film and also became the second highest earner film with a substantial collection of Rs 172 crores at the Box office window and also the 2016 years highest earner too. Such gainers made him the Tamil superstar and gained the mass popularity. He was born to Shoba Chandrasekhar and S.A. Chandrasekhar. He is married to Sangeetha Sornalingam since 1999 and together the couple has a son named Sanjay and a daughter named Divya.